AISBackup: Data backup to local and networked external drives. Instructions for making a file by file copy of Windows. AISBackup's option to copy (or clone) a disk to another disk partition may be used to make a 'ready to go' disaster recovery disk. 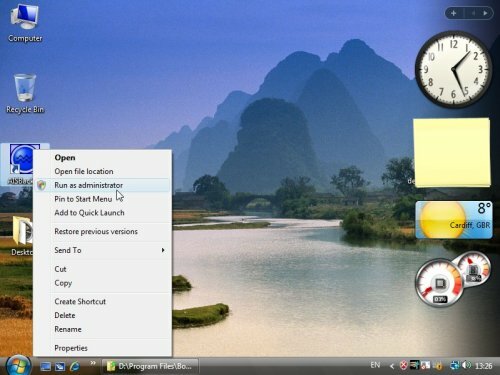 This example shows a copy job of Windows Vista Business to an external hard drive. The copy job may be re-run where it only copies differences from the previous copy and removes files from the destination disk that no longer exist on the source disk. See below for instructions, click Next to go to the next instruction and Previous to re-read the previous instruction. 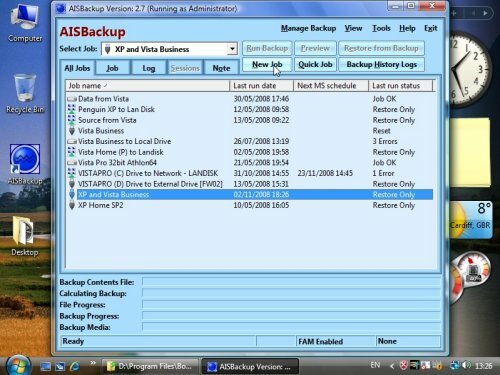 As this is Windows Vista right click the AISBackup icon and choose Run as administrator. For non-UAC Windows just start AISBackup. Send mail to Customer Services with questions or comments about this web site.